Over the last week or so, I have had the privilege of joining an editorial team working on Bill Jackson’s newest book on church history.For those who don’t know Bill Jackson, he’s the author of The Quest for the Radical Middle: A History of the Vineyard, and to say he has a passion for church history would be an understatement of biblical proportions. But this is neither a book review, nor directly about anything Bill Jackson wrote. Reading Jackson’s manuscript — as I supplied edits, suggestions and push-back (constructive critique) — simply got me thinking about church history (which I’m also fascinated by), and particularly how we view “moves of the Holy Spirit” throughout history. And about our tendency to practice “selective hearing” when it comes to the historical data. There have always been (at least) two prevalent approaches to studying the Holy Spirit in church history. In historical hindsight, it doesn’t take a rocket scientist to notice that during virtually every recorded “revival”, there were abuses, excesses, moral failures, and usually (if not always) really, really bad theology — sometimes called “false teaching” — that were as prevalent as any spiritual gifts, physical manifestations, and reports of healing. Cessationists point to the problems, excesses, and false teachings as proof that any so-called move of the Holy Spirit was, in fact, a fraud. (Which, conveniently, reinforces their cessationist worldview.) Their answer to the historical evidence is: “Yes, but…” Yes, it may have looked like a move of the Spirit, but the bad fruit clearly demonstrates that it wasn’t. Continuationists put a greater emphasis on the power of God — the healings, the prophetic words, the passion for worship — as proof that these moves of the Spirit were genuine. Their answer to the historical evidence is also: “Yes, but…” Yes, there were excesses, abuses, and false teachings, but the good fruit clearly demonstrates that it was a genuine revival/move of the Spirit. Yes, there appeared to be evidence of a mighty move of the Spirit. Yes, there were spiritual gifts in evidence. Yes, there were physical manifestations as the Spirit touched people. Yes, there were healings. Yes, people hungry for more of the Spirit flocked to the meetings. Yes, prayer and worship were vibrant expressions. Yes, a lot of people came to Jesus. The biggest, “Yes, AND…”, in any current and future moves of the Spirit, needs to be:Yes, the Holy Spirit is on the move, AND we will be on our guard for the inevitable attempts of the Enemy to bring in excesses, abuses, and false teachings to derail what God may be doing. 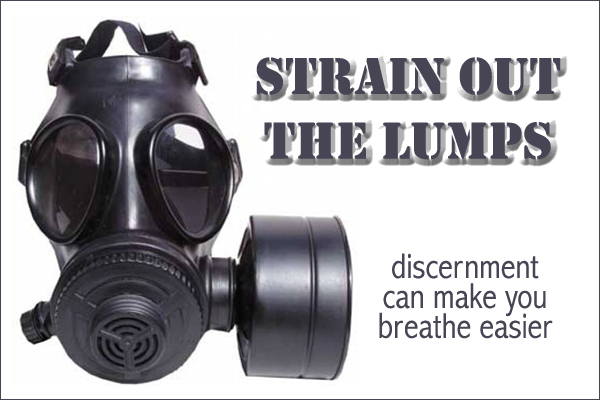 We will practice biblical discernment and not give ground to the Enemy by turning off our brains.We will use the sieve of the Bible as our guide — it will strain out the lumps, and allow the Holy Spirit to flow. Robby are you familiar with any helpful studies of the Pensacola Revival? Oh! Down, down, down with everything else! But up, up, up with the cross of Christ! Down with your baptism, and your masses, and your sacraments! Down with your priestcraft, and your rituals, and your liturgies! Down with your fine music, and your pomp, and your robes, and your garments, and all your ceremonials. But up, up, up with the doctrine of the naked cross, and the expiring Savior!